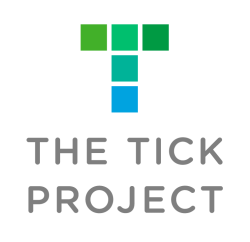 ​The Tick Project is a five-year study that will test whether neighborhood-based prevention can reduce human exposure to Lyme disease and other tick-borne diseases. The methods we are testing are simple and safe for people, pets, and the environment. ​The project is led by Cary Institute disease ecologist Dr. Richard Ostfeld and Bard College biologist Dr. Felicia Keesing, in partnership with the US Centers for Disease Control and Prevention, the New York State Department of Health, and the Dutchess County Department of Behavioral and Community Health. ​The study is taking place in Dutchess County, New York, which is home to some of the nation’s highest rates of Lyme disease incidence. Residents of twenty-four neighborhoods are being recruited. Each neighborhood consists of 6-10 square blocks and roughly 100 properties. How were the study sites chosen? ​The selected study neighborhoods have been identified as hotspots for Lyme disease by the research team and their partners at the Dutchess County Department of Behavioral and Community Health. ​Due to the controlled nature of study, participation is only open to residents of neighborhoods identified by the research team. If you reside within one of the selected neighborhoods, you will be contacted by our staff to discuss your interest in participating in the study. Intervention #1: Metarhizium anisopliae is a tick-killing fungus that occurs naturally in forest soils in eastern North America. A strain of this fungus, Met52®, has been developed as a commercial product. It can be sprayed on low vegetation where it kills host-seeking (“questing”) ticks. Intervention #2: The “Tick Control System”, or TCS®, is a small, baited box that attracts small mammals. When an animal enters the box, it receives a small dose of fipronil, the active ingredient in many tick treatments used on dogs and cats. Fipronil kills ticks on treated animals such as mice and chipmunks, which are largely responsible for infecting ticks with the Lyme bacterium. The research is being conducted as a randomized, placebo-controlled study – the scientific gold standard. Every property in the study will receive Tick Control System (TCS)® bait boxes and Met52® spray, but in some neighborhoods, the bait boxes and spray will not contain the active ingredients. Inactive TCS® bait boxes look the same as the active boxes, but they do not contain the chemical that kills ticks. Inactive Met52® spray will be just water that does not contain the fungal spores. All of the participating properties in a neighborhood will receive the same treatment. We are asking study participants to report diagnosed cases of tick-borne disease as well as encounters with ticks on people and pets. We are also sampling ticks on properties and conducting lab analyses to measure the number of ticks in each neighborhood and whether they are carrying pathogens. ​The study will take five years to complete. In 2016, we are identifying study neighborhoods, recruiting participants, and estimating the abundance of ticks in a sample of properties before we begin treating them. The tick-killing treatments themselves will be deployed between 2017 and 2020. Impacts of the treatments on ticks and tick-borne diseases will be monitored during this time. ​If the approaches we are testing are successful in preventing Lyme disease, we will be able to recommend concrete strategies that could be immediately adopted by local municipalities, governments, community groups, or neighborhoods. why did you pick these particular methods of tick control? We chose methods of tick control that have been shown to be safe for pets, people, and the environment, and that have also been shown to be effective at killing ticks in people's yards. We only considered methods that were already commercially available to avoid any delays in applying useful results from this study to the real world. What will I need to do if I decide to participate? If you decide to participate, we will ask you to read and sign a study consent form. This form will tell you all about what will happen on your property, and what kinds of questions we will ask of you during the study. How does the bait box (or TCS®) work? ​The bait box is a child-resistant box containing a non-toxic bait block that attracts rodents (mice and chipmunks). Rodents (mice and chipmunks) that enter the box to feed or investigate are treated with fipronil, which is the same chemical used on pet products. This pesticide kills the ticks on the rodent and any ticks that come into contact with the animal for the next several weeks. This interrupts the transmission cycle of Lyme disease. In this study, half of the homes will receive active bait boxes containing fipronil, and half will receive inactive bait boxes without the pesticide. Why would targeting ticks on mice help prevent Lyme disease in people? ​The fipronil bait boxes have the potential to reduce Lyme disease in people by reducing the abundance of infected ticks. Most ticks become infected with the Lyme disease bacterium by feeding on small mammals such as white-footed mice, chipmunks, and shrews. Will the bait box attract more mice to my property? ​No. The bait is only detectable over a short range so the bait in the box will only attract rodents that are already on your property. Is the chemical in the bait box dangerous? ​The chemical used in the bait boxes is fipronil, which is the active ingredient in many popular topical flea and tick control products (e.g. Frontline ®) for household pets. The concentration of fipronil in the bait boxes is 10 times lower than that found in topical flea and tick control products (Frontline ®) used on household pets. The likelihood of coming into direct contact with the wick containing this low concentration of fipronil is low, because it is encased in a child-resistant box. The chemical is also safe for predators. A predator would have to consume ~600,000 mice that had been treated with fipronil to experience even a mild effect from the chemical. What is Met52® and how does it work? Met52® fungal spray consists of spores of the fungus Metarhizium anisopliae mixed with water. Metarhizium anisopliae occurs naturally in forest soils. The Met52® spray has been found to kill ticks and agricultural pests such as certain beetles and root weevils. The spray is applied to plants and the surrounding soil. When a tick comes in contact with the fungal spores, the spores stick to the tick. When the spores sprout, the fungus grows through the tick’s outer covering, killing the tick. Ticks are usually killed within 3 to 7 days of exposure to Met52® spores. Is the Met52® spray dangerous? The fungus in the Met52® spray is Metarhizium anisopliae, which occurs naturally in soils around the world. Met52® is non-toxic for infants, children, and adults, and for dogs, cats, and other mammals. The Environmental Protection Agency has determined that no harm will be caused by people eating, breathing in, or touching things containing Met52®. No toxicity or harmful effects were seen when Met52® was tested in laboratory animals. The Environmental Protection Agency has approved its use in residential areas as a bioinsecticide. WILL MET52® KILL BEES OR OTHER BENEFICIAL INSECTS? ​Testing of Met52® on various insects (e.g. honey bees, lady beetles, etc.) and earthworms demonstrated no adverse effects at concentrations exceeding the concentration used in the current study. IS IT SAFE TO USE MY GARDEN AFTER THE MET52® HAS BEEN SPRAYED? ​The EPA has determined that it is safe for people (including children and infants) to touch, inhale, and eat things containing Met52®. Testing on laboratory animals has evaluated the safety of incidental consumption of Metarhizium anisopliae spores and demonstrated that Metarhizium anisopliae is not toxic or pathogenic when spores are orally consumed. Additionally, it is safe to apply Met52® to gardens up to the day before harvest. When Met52 is applied, we ask that you refrain from using treated areas until the water-based spray has dried. This is so that the Met52 fungal spores stay in place where they are sprayed to maximize their effectiveness; there are no health concerns related to contacting wet Met52 spray. ​A generous gift from the Steven & Alexandra Cohen Foundation is kicking off the project. The total cost of this effort is $8.8 million dollars. The Cary Institute is leading a campaign to raise the additional funds needed to support this project critical to public health. DO ANY OF THE RESEARCHERS HAVE A FINANCIAL INTEREST IN THE OUTCOMES OF THE STUDY? Will Met52 spraying be done all over my property? Yes, unless you specifically request that we avoid certain areas. If there is a particular garden or other area you would like to remain untreated, we can honor that request. Can the TREATED property be used without any precautions being taken? Neither of the treatments we're testing require safety precautions for residential use. When Met52 is applied, we ask that you refrain from using treated areas until the water-based spray has dried. This is so that the Met52 fungal spores stay in place where they are sprayed to maximize efficacy; there are no health concerns related to contacting wet Met52 spray. What effect do the TREATMENTS have on humans? None. Just as the treatments are safe for pets, so are they safe for children and adults. We specifically selected treatments that are safe for people, pets, and the environment so that we could recommend their widespread use if it turns out that they are effective in reducing disease.